The padding of the top part is made of EVA-foam, hence it will stay voluminous during the whole service life. Also, the padding boasts an 8 cm thickness, so it's very comfortable to sit on. Velvet is hard to maintain. 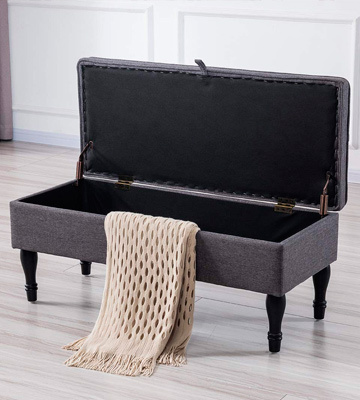 If you ran out of storage space, purchase the luxisleepltd Ottoman Storage Box. It has a decent capacity and comes in a variety of colours to fit your interior. Plus, it is enough for 2 people to sit on. The legs are made of wood and have a high-quality coating that makes them scratch-resistant. Plus, they are fitted with the non-skid fit. The lining is not very neat. This pouf from vesgantti can spice up any decor. An easy-to-open lid mechanism and robust hinges give you easy access to your stuff. 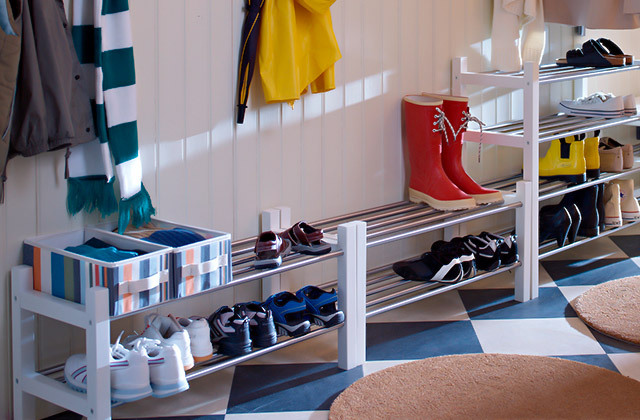 Divider in storage container allows you to wisely organise your belongings. 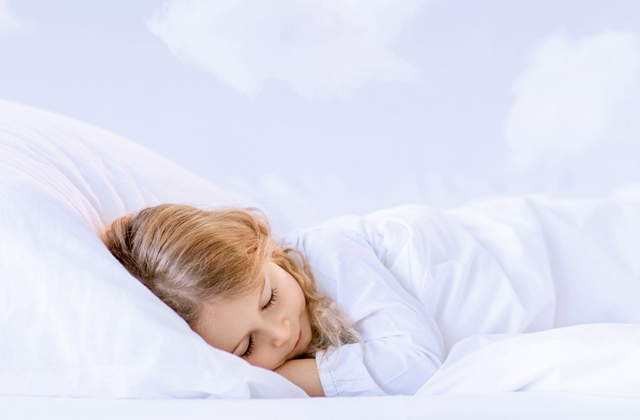 All your stuff will be folded neatly and you will be able to easily find what you need. The feet are a bit slippery. Foldable construction, durable materials and massive base make this footstool one of the most secured ottoman coffee tables. It will perfectly fit in your bedroom. Padding is made of thick and durable EVA-foam which doesn't slam even under big weight. 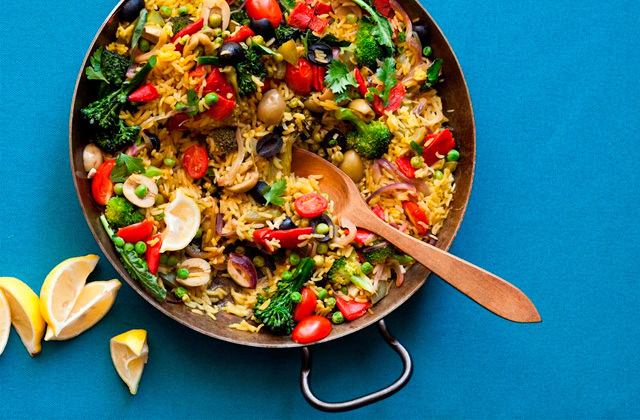 You can safely put stuff on top of the table, and if it gets dirty, the fabric is very easy to clean. You may have to screw the bolts from time to time. This model is a good choice for every house since it can be used as a coffee table, a sitting bench and a footstool. Plus, thanks to the compact size it will suit those who are limited in space. This item is fitted with transport wheels that allow you to move the ottoman around the house with no hassle even if it is full of stuff. By the way, the wheels leave no marks on the floor. Wooden parts of the feet are prone to scratches. This model stands out thanks to the large width, so it is really comfy to sit on. And because of the stylish exterior, it will be a perfect addition to any room. 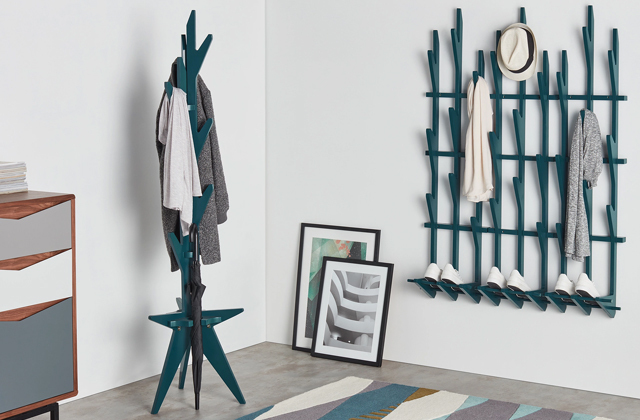 Look for a functional piece of furniture to add to your living room? 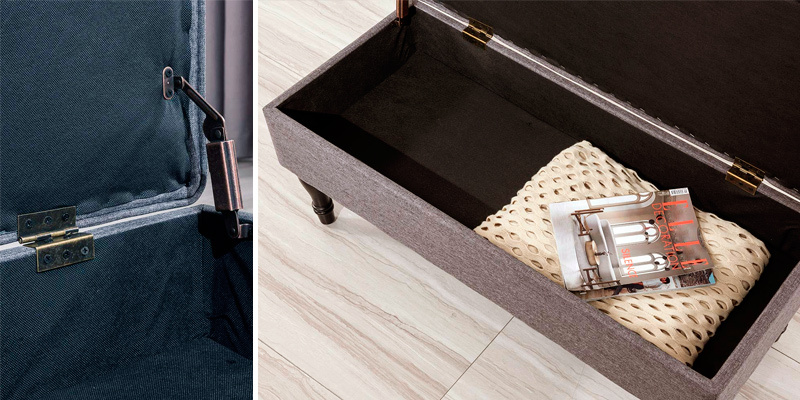 If so, we recommend taking a closer look at the luxisleepltd Ottoman Storage Box. Having such a functional item definitely won’t harm anybody. This ottoman coffee table requires no assembly whatsoever. 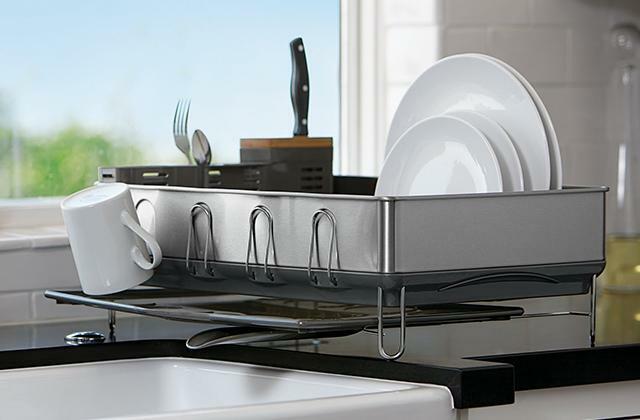 It features a flip-open mechanism, so you can put your stuff in and take it out with no effort. 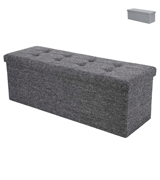 The dimensions of this ottoman are also pretty decent, hence you can store stuff like blankets or cushions in it. The inner capacity is about 600 litres. 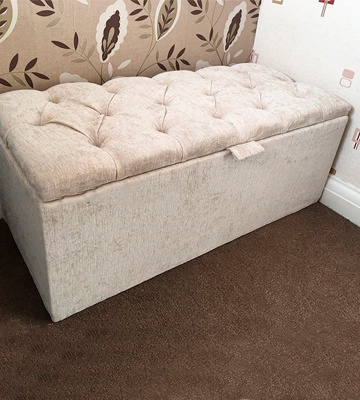 As for the outer part of the pouf, it features a button-tufted top made of velvet. We actually think that velvet fabric is not the best choice since it is pretty hard to maintain, yet it pays off thanks to the nice look. It also comes in various colour options, so you can select the one that will suit your room decor. The padding of the top part is made of EVA-foam, hence it will stay voluminous during the whole service life. Also, the padding boasts an 8 cm thickness, so it's very comfortable to sit on. Thanks to the size, it is enough for 2 people. 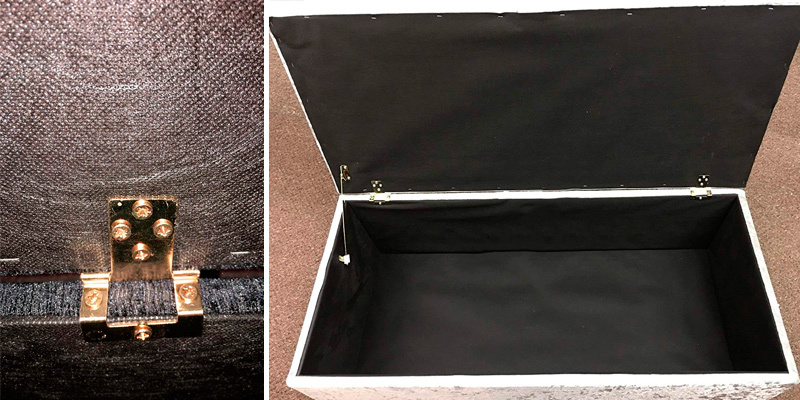 So, if you ran out of storage space, purchase the luxisleepltd Ottoman Storage Box. It has a decent capacity and comes in a variety of colours to fit your interior. Plus, it is comfy to sit on. The coffee table from Vesgantti is a versatile piece that will be a great addition to any room. 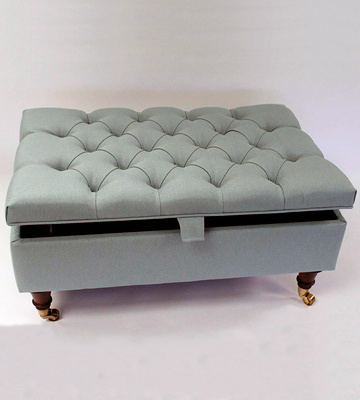 This upholstered storage ottoman can serve as a table, a stool or even a storage place for small stuff. The dimensions of this unit are 104 x 43 x 40 cm, so it is suitable for medium and large rooms. It has a flip-over mechanism on the storage compartment, and it is also fitted with a child safety hinge. As for the materials, the legs are made of wood and have a high-quality coating that makes them scratch-resistant. Plus, they are fitted with non-skid feet, which makes this piece of furniture sustainable despite what floor you put it on. The cover is made of linen. It comes in a neutral grey colour, but there is also a beige option available. Unfortunately, a lot of users point out the lining is not very neat. This rectangular coffee table does require minimal assembly, yet it won’t take you long. All you need to do is to screw on the legs and the ottoman is ready for use. You can store things on and inside of it as well as sit on the top. This pouf from vesgantti can spice up any decor. 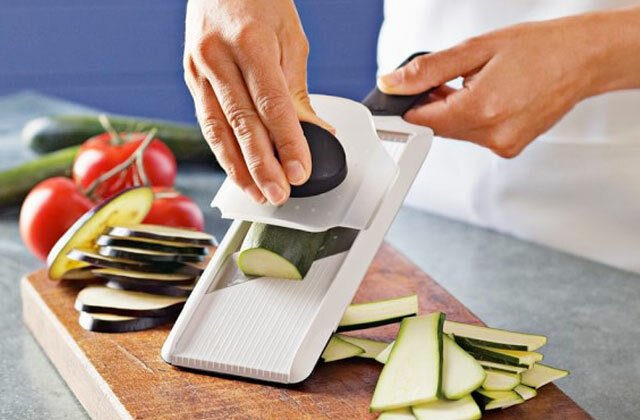 An easy-to-open lid mechanism and robust hinges give you easy access to your stuff. We have no doubt this is one of the best ottoman coffee tables for your home. The SONGMICS Folding Storage Ottoman is an affordable piece that has proven to be reliable and sturdy. 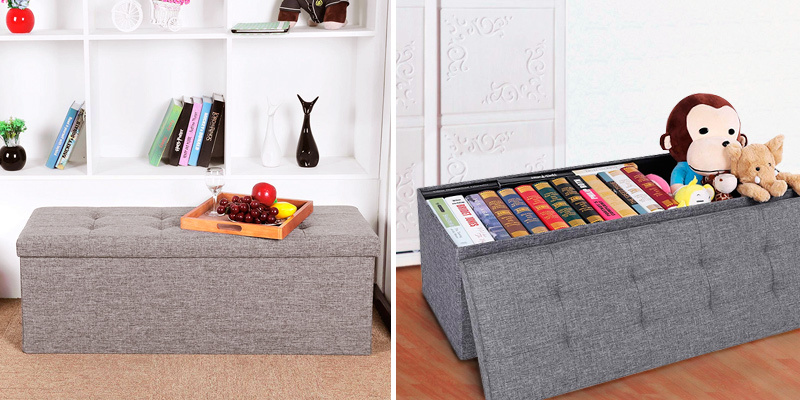 The best thing about this ottoman is, of course, the storage space. This unit has a capacity of 120 litres, so you can fit a lot of stuff in there. If you have unexpected guests over but your house is a bit of a mess, you can easily hide everything in this storage box. 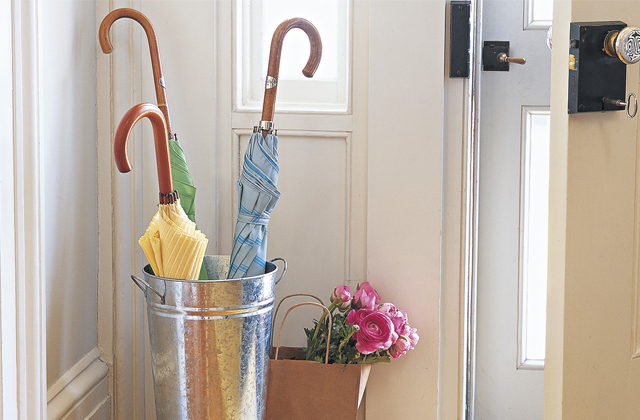 It has collapsible parts that you can easily hold or unfold when needed. Other than that, there is no assembly required. Next, this square ottoman coffee table can provide you with some extra sitting space. The size of the ottoman is 110 x 38 x 38 cm. It has enough room for two or maybe even for three people. The maximum load it can bear is about 300 kilos. However, we advise you to be a bit more careful when sitting on it since the feet are a bit slippery. Yet, if you put this piece next to the wall, you won’t have such a problem. Last but not least, the thing that makes this unit a bit more appealing for most customers is its price. So if you are on a shoestring budget yet you desperately want a new pouf, this is what you need to buy. 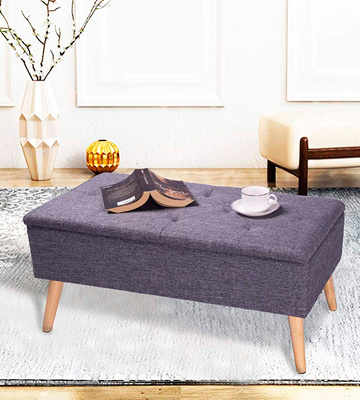 In conclusion, a foldable construction, durable materials and massive base make this footstool from SONGMICS one of the most secured storage ottoman coffee tables. 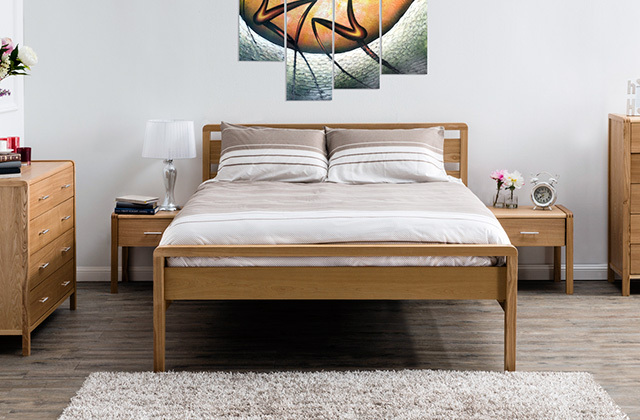 It will perfectly fit in your bedroom. 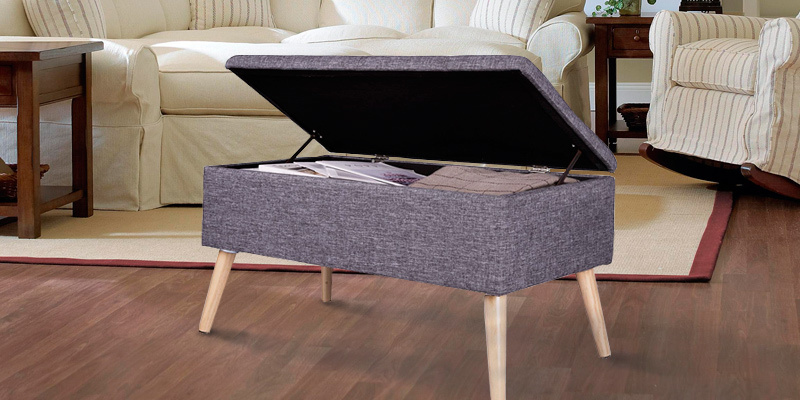 If you want to add something a bit more interesting to your living room than a plain coffee table, we recommend taking a closer look at the WOLTU Storage Ottoman Bench. 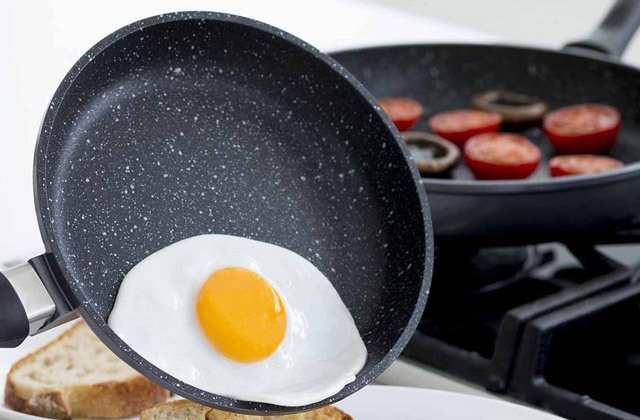 This multifunctional piece will serve you well thanks to the stable constructions and quality materials. To begin with, the padding is made of thick and durable EVA-foam which doesn't slam even under large weight. You can safely put stuff on top of the table, and if it gets dirty, the fabric is very easy to clean. It is also nice to sit on. It is strong enough to bear a few adults since the max load is about 150 kg. You can also use it if you need a place to rest your feet after a long working day. 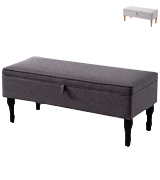 This ottoman has just the perfect height for that. 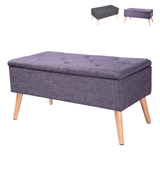 It is also worth mentioning that in general, this footstool is pretty compact (79.5 x 39.5 x 40 cm), so it will be a perfect fit even for a small room. We also really like that this padded ottoman comes complete with non-slip feet that won’t leave any marks or scratches on your floor. To sum up, the WOLTU Storage Ottoman Bench is a good choice for every house since it can be used as a coffee table, a sitting bench and a footstool. Plus, thanks to the compact size it will suit those who are limited in space. When purchasing the Simply Chaise Upholstered Coffee Table, you kill two birds with one stone: you get an extra sitting space and a storage case in one. This thickly upholstered table features a deep-buttoned sot top covered in durable fabric. The general dimensions of the ottoman are 86 x 58 x 39.5 cm. This model stands out thanks to the large width, so it is really comfy to sit on and you can keep a lot of stuff in there. What we also like is that this storage ottoman coffee table is fitted with transport wheels that allow you to move the ottoman around the house with no hassle even if it is full of stuff. By the way, the wheels leave no marks on the floor. 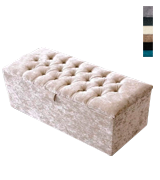 Lastly, we would like to mention that despite being so large and convenient in use, the price of this fabric ottoman will pleasantly surprise you. For such a good piece, it is more than reasonable. The only problem we have with this coffee table is that its wooden feet are prone to scratches, so try to be more careful with it if you want the pouf to look perfect throughout its use. Hands down, the Simply Chaise Upholstered Coffee Table is the best ottoman coffee table you can find in this price range. It is good for sitting and storing, and because of the stylish exterior, it will be a perfect addition to any room. What Is an Ottoman Coffee Table? The name “ottoman coffee table” pretty much speaks for itself: it is a coffee table usually made with a soft upholstery that resembles an ottoman. Commonly, traditional coffee tables serve not only for holding coffee but for various things. You can keep your books, magazines and TV remotes on them as well as place a bowl of snacks on top of it while watching a film. An ottoman coffee table can be used for all these purposes as well, however, you need to be careful when placing a drink on it. 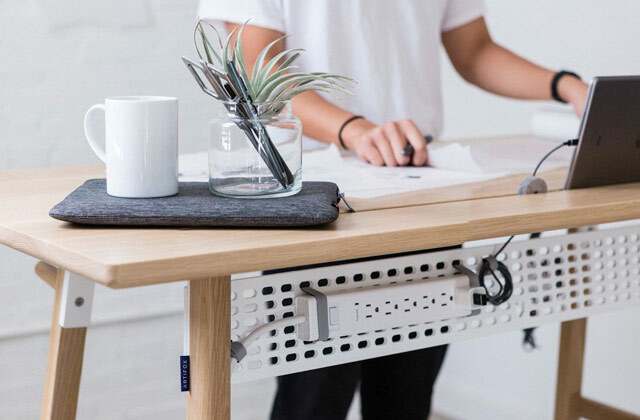 Such tables sometimes come with an inside compartment, which provides you with extra storage space for something like blankets or other small stuff. 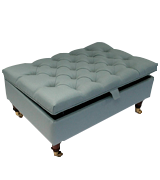 And of course, like every ottoman, such an item is comfortable to sit on thanks to the soft cover. The cover on top of an ottoman can be of various fabrics (from faux leather to linen) and colours, hence it will be easy to match it with your living room decor. 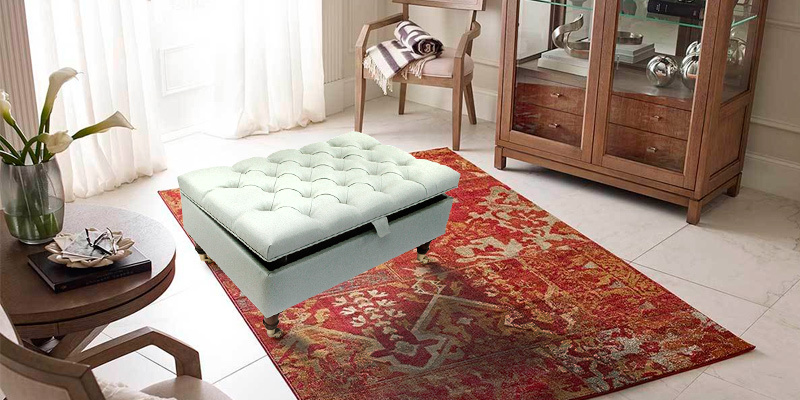 So, when purchasing an ottoman coffee table you get extra space for storing and placing objects and sitting! And if you look for something a bit more traditional, we recommend checking out this selectin of coffee tables that will fit any living room.